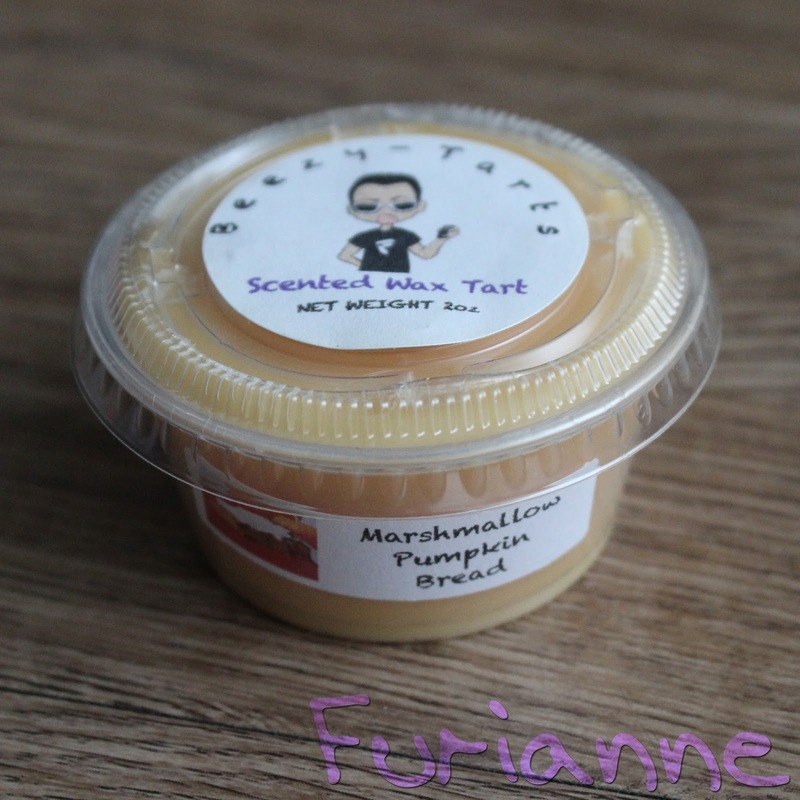 Scent Description: Sticky Marshmallow, Pumpkin Puree, Pumpkin Spice, Brown Sugar, and Bread. Cold Sniff: 4/5 Sweet, cinnamon-ey pumpkin bread with creamy marshmallows. Warm Sniff: 3/5 Holy cow, that cinnamon went up a notch. The creamy marshmallow pumpkin bread was still there, but this very much became a cinnamon-centric scent. I'm not quite sure that's what I was going for when I melted this. Scent Throw: >3/3 This filled the entire kitchen/dining area, hallway, office, part of the living room, and all of the entryway. Basically, this puppy threw. Melting Power: 5/5 I got about 10 hours of scent from half a tart cup. Repurchase: Probably not, just because there was so much cinnamon in this melt. I'm all for cinnamon scents, but that wasn't what I was going for here. Love his Marshmallow Bread scent, but I don't care for strong cinnamon so I'll probably pass on this one. Thanks for the review! Fall Fun Series - Pumpkin Theme!